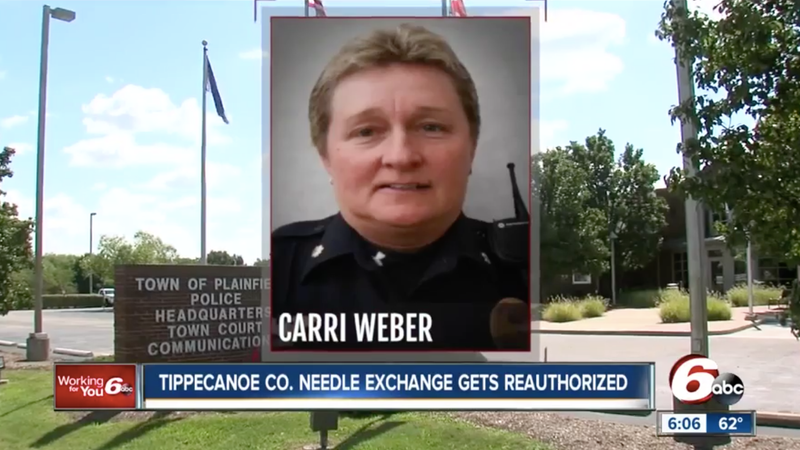 Indiana police captain Carri Weber has been put on paid administrative leave after telling a police officer he benefited from white male privilege. During a November 1 training seminar on how police should properly interact with transgender people at the Plainfield Police Department, a male officer spoke up and reportedly questioned a statistic on the fact that trans people are more likely to experience police violence than those who aren’t. According to WRTV, the male officer wrote in his complaint that he had been “racially and sexistly slurred” by Captain Weber, a 26-year veteran of the Plainfield Police Department, according to LinkedIn. “I am now firmly aware of the discriminatory belief she just verbally communicated,” he wrote. “There is no place in the Plainfield Police administration or supervision for someone who holds and espouses her discriminatory views.” Now the police department is scheduled to vote on Weber’s future during a commissioner’s meeting on Thursday because clearly, this is the most pressing issue facing the police department. If anyone from the Plainfield Police department is reading this, let me say: you need to hire more people like Carri Weber, not less. Seems to me like questioning a statistic on trans people experiencing police violence because you just personally don’t know anyone who has experienced it is a perfect example of someone possessing white male privilege, so props to Weber to telling it like it is!